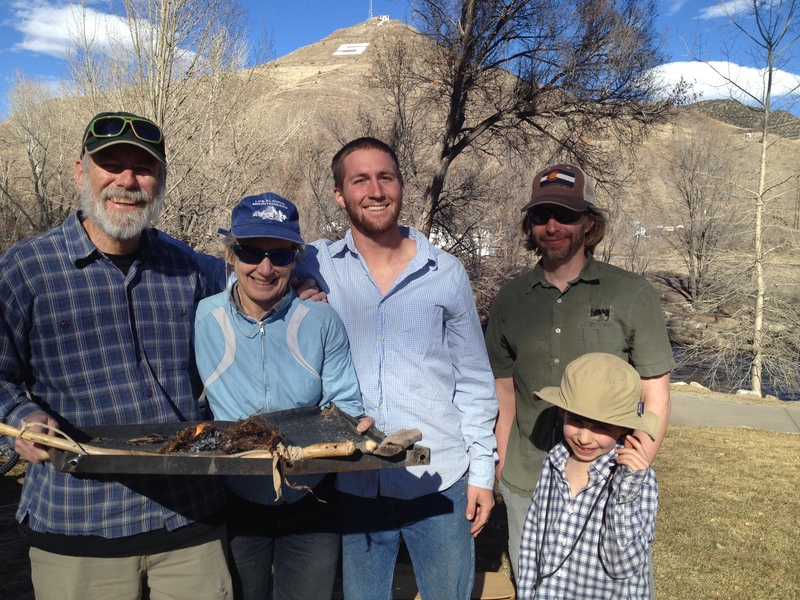 We are so excited to let everyone know that Earth Knack is expanding course offerings beyond the school site in Crestone! 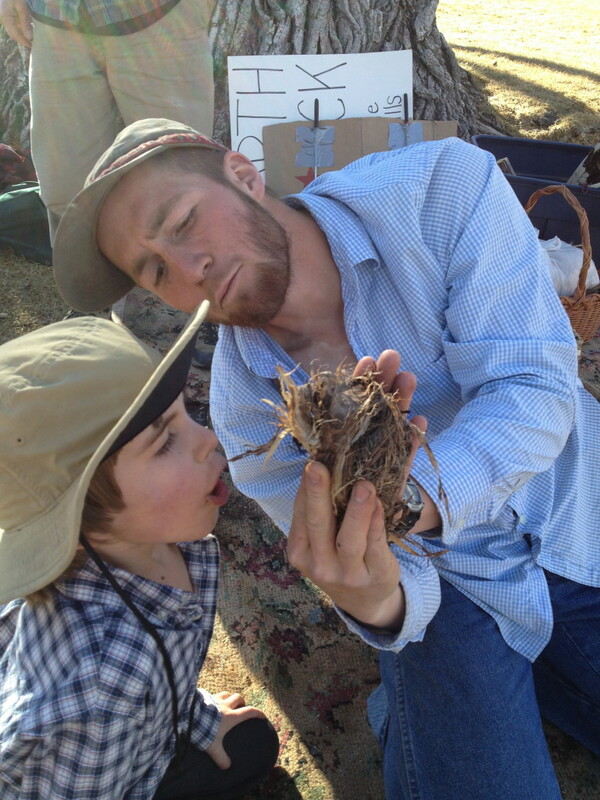 Sam and Jillian Liebl, who joined the Earth Knack team in December 2014, have begun in earnest, with a series of friction fire courses in January and February. They even got a nice write-up in The Mountain Mail! 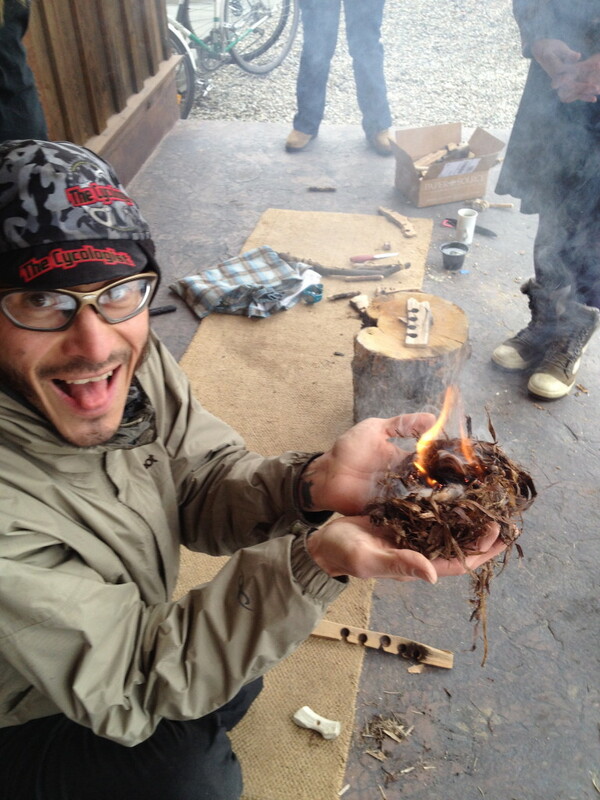 The next friction fire course in Salida will be held Saturday, February 28. We will meet at Riverside Park at noon, and the course should end by 3 pm. Tuition is $20 per person. Please bring a knife if you have one. Rafael holds fire even on the dampest day! Sam watches as Teresa blows her tinder bundle into flames! Sam helps Jamie, age 7. 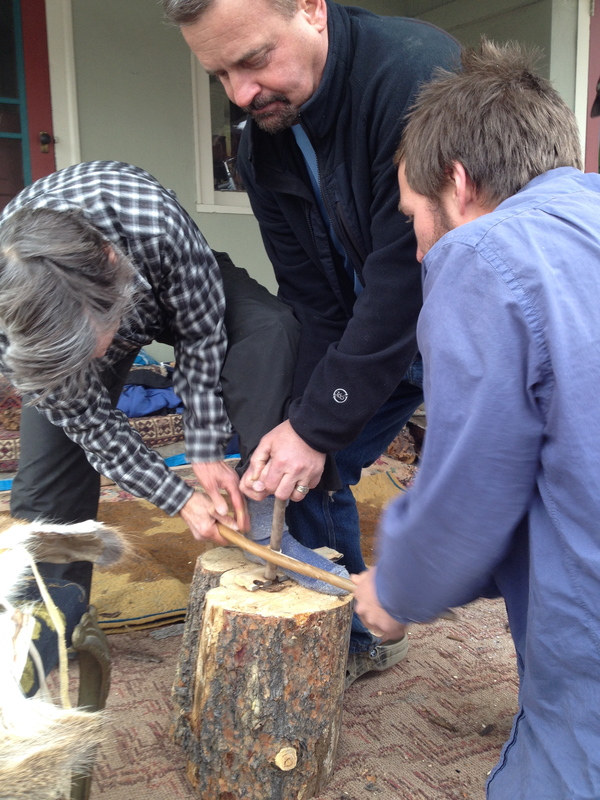 Leslie, Barry, and Sam work together. A great end to a great class! 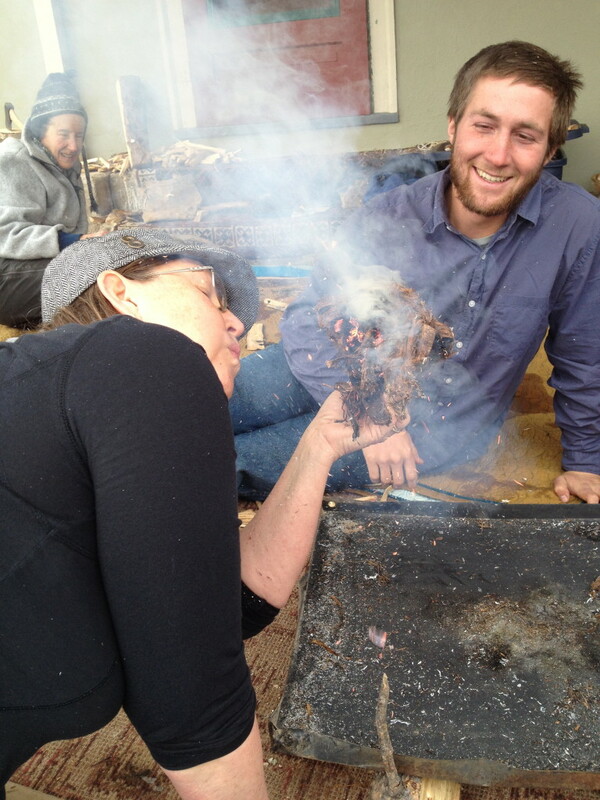 Mark, Leslie, Sam, Mike, and Jaime are the proud parents of one awesome fire!